Join Pizza E Birra on Sundays for their Abruzzese BBQ extravaganza! Abruzzo, a region in Italy, is famous for arrosticini. These incredibly tender and delicious organic lamb skewers are seasoned with salt and flame-grilled to perfection. Its a centuries old method and its delizioso! 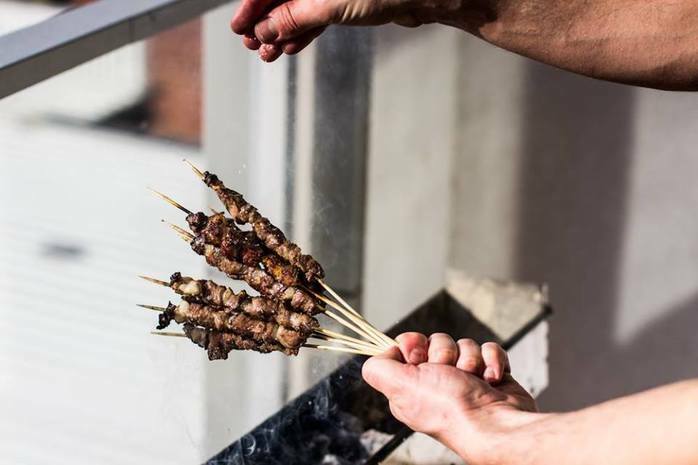 Now, you can experience the delight of arrosticini, right here in Melbourne. Fat Sheep Grill, run by Italian chef Augusto Trinetti, will cook this moreish treat for you over natural charcoal. Check their website for more information on future dates.